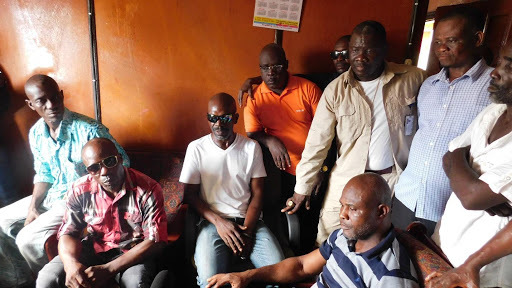 Monrovia – Several ex-general from different defunct rebel groups and the Armed Forces of Liberia (AFL) have distanced themselves from an allegation made by Representative Yakeh Kolubah, while ordering him to turn himself over to their command. Hon. 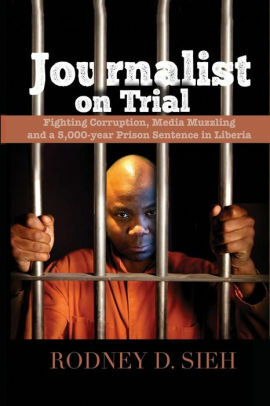 Kolubah had earlier accused the ex-militants of receiving money from Liberia’s Minister of State for Presidential Affairs Nathaniel McGill for the purpose of going after people who are constantly criticizing President George Weah. But speaking to journalists at their National Headquarters on Benson Street, Monrovia on Tuesday, April 16, the ex-generals said as they did for former President Ellen Johnson-Sirleaf during her 12 years, they are obligated to supporting any legitimate government. According to them, their rights to support legitimate governments will not reach a point where they will be hunting people who are critics of the government. “The same thing we did for Madam Sirleaf for the past 12 years we can do the same thing for President Weah and whosoever that will come after President Weah, we will support that president,” said G. Benjamin Taylor, former chief of staff of the former MODEL rebel. And Siafa Norman, former Chief of Staff of NPFL who is now a stalwart of National Patriotic Party (NPP) – one of the collaborating parties in the ruling party, added that the allegation by Representative Kolubah has diminished their character across the country. Norman said they went through the Disarmament Disintegration Rehabilitation and Reintegration (DDRR) process and for more than a decade they have been good citizens. “We want these people to refrain from those statements. It will cause chaos and will derail the peace of this country,” Norman warned. Daniel Bracewell, a former major general of the AFL, called on politicians to avoid anything that will disrupt the peace in Liberia. “We ex-generals, we know war, we fought the war, we make war, we study war. If anyone thinks that they are coming in to derail this peace process they will have us to contend with,” said Bracewell. Meanwhile, the chairman of the Ex-generals and former chief of staff of Liberia United for Reconciliation and Democracy (LURD), Ofori Diah has given the Montserrado County lawmaker a 72-hour ultimatum to report to their Head Office on Benson, noting that he (Rep. Kolubah) is a former general and must adhere to their summon. Also, another former Major General of the defunct LURD Koffi Duo says the “Liberians will not be happy that the peace they have been enjoying for more than 15 years to be destabilized by opposition political leaders”. “We are also calling on the Liberian people to call on Yakeh Kolubah to desist. We now call him to report as a general, failure on his part we will get to him and bring him to our commander,” Duo said.